What Now for U.S. Policy in Afghanistan? In late August, President Trump announced his Afghanistan policy. There was not much detail or explanation provided. 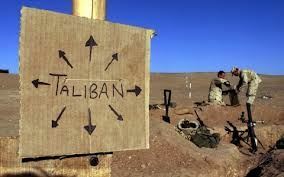 Since the president's announcement there has been significant discussion among foreign policy experts on Afghanistan and the requirements for turning the tide on the expansion of Taliban power and the weakness of and corruption within the Afghan government. This is a Council on Foreign Relations podcast in which Seth Jones, director of the International Security and Defense Policy Center at the RAND Corporation joins the Council on Foreign Relations experts James M. Lindsay and Robert McMahon to discuss Trump's plans for the war in Afghanistan. It was recorded August 27, 2017. In this KNOW NOW World Affairs Councils of American podcast episode of August 28, 2017, UC Riverside graduate Ronald Neumann, former U.S. Ambassador to Afghanistan, discusses President Trump's decision to increase troop numbers in Afghanistan and what this means for the future of U.S. presence in the region.